We investigate how the human brain processes socially communicated information. The lab is especially interested in how information conveyed through social media motivates us and influences our decisions—humans are particularly drawn to positive, rewarding social information, such as “likes” on social media. Social media platforms are a relatively new phenomenon, but they tap into social cognitive processes that have been hardwired into our brains over years of evolution. The lab’s research program focuses on the brain and behavior of both adults and adolescents to elucidate these processes. To answer our research questions, we conduct behavioral experiments both in the lab and online. 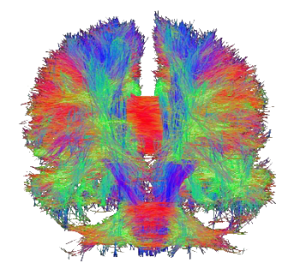 We also conduct neuroimaging experiments with an MRI scanner to examine brain activation and structures related to social information processing. Ultimately, with the knowledge gained by our research, the lab hopes to contribute to a better understanding of socially motivated human behavior.